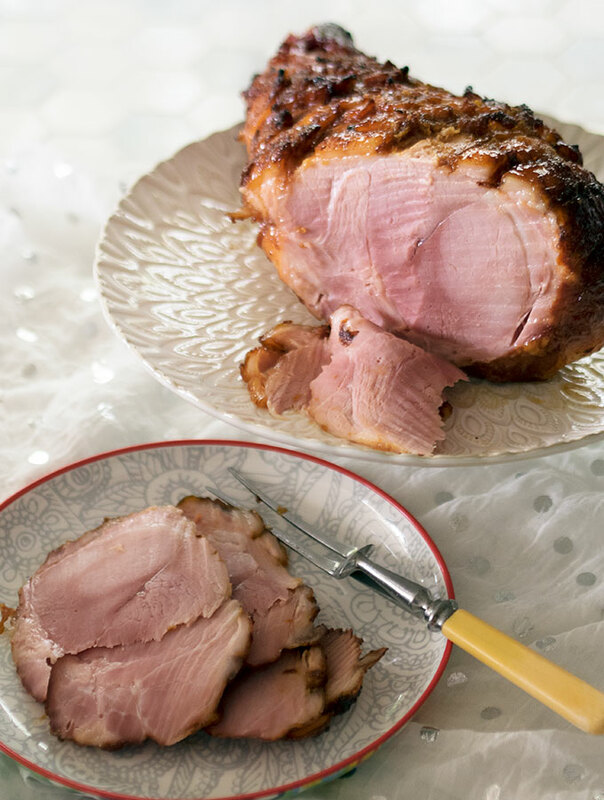 Baking a ham for Christmas is probably one of the easiest recipes to add to your Christmas repertoire. My dark and stormy baked ham recipe is one that you will end up making again and again. 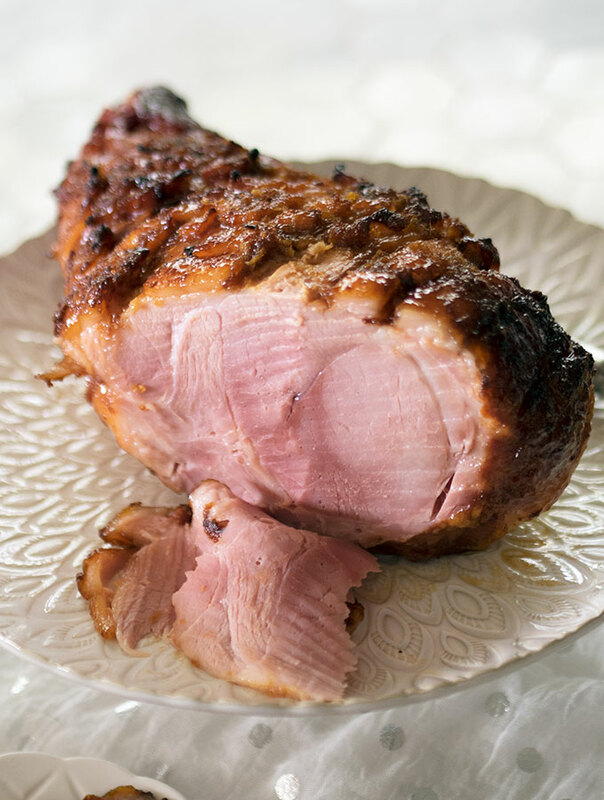 Even though a baked ham is quite easy to make, the results are very impressive. A large ham taken from the oven and presented to your loved ones over Christmas lunch/dinner, makes for a stunning centre piece. Plus you have the added bonus of ham carving theatrics at the table. Cocktail inspired? Or just in a bad mood in the kitchen when baking said ham? Happy to report I was quite happy making my dark and stormy baked ham. Yes, it is cocktail inspired. Probably why I was quite happy at the time, all that testing. The dark and stormy baked ham inspiration didn’t come from the traditional cocktail. Where would the fun be in that? No, this is based on my favourite version of a dark and stormy. A version found on my beautiful friend Amanda’s recipe blog, Chew Town. The recipe was developed by her lovely hubby Scott. Scott being a big fan of a dark and stormy, went about “perfecting” the recipe. The result is a full bodied dark and stormy with a spicy personality. I knew the flavour elements, spiced dark rum, lime juice and ginger, would work perfectly with a baked ham. In the below recipe I use a 2.5kg semi bone in ham. This may not be large enough for requirements if feeding a very large tribe on Christmas day. You may want to adjust ham size to suit. If you are unsure on how to carve a ham, I found a great video tutorial by Mitch Edwards over on the Australian Pork website. He also goes through storage. In fact the website is a great resource for any pork questions you may have. 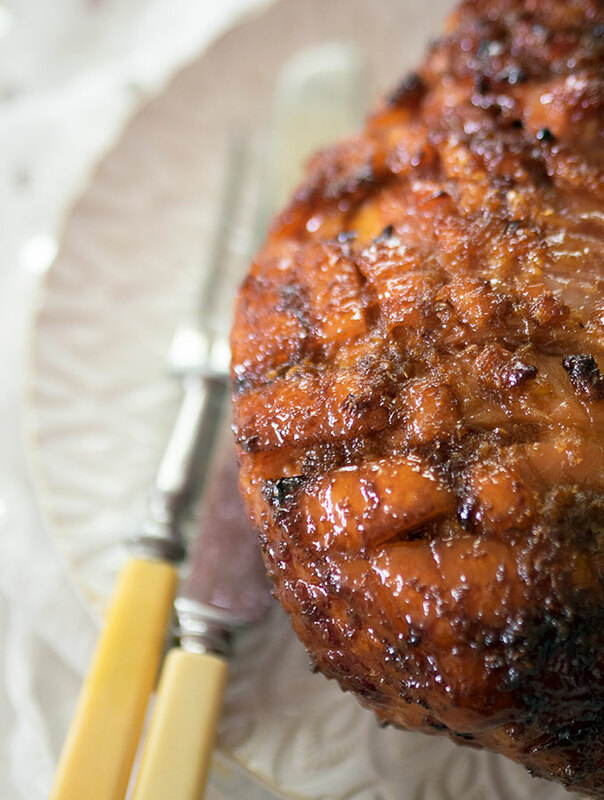 The glaze for this dark and stormy baked ham is stickily delicious. I think it works best if you do take it that little bit further and develop a light char on parts of top of the ham. The spiced rum, ginger, lime and sugar transport you to the Caribbean this Christmas. Which isn’t a bad place to be transported to. Remove skin from the ham by running a knife around the edge where skin meets ham. Then carefully run fingers under the skin to lift from the ham. You want to retain the fat layer. With a knife carefully score the fat layer in a diamond pattern. Try to avoid cutting into the meat of the ham, just score the fat. Place ham in a baking dish and bake in the oven for 15 minutes. This allows the score marks in the fat to open up. While the ham is in the oven make your dark and stormy ham glaze. In a medium bowl mix rum, sugar, lime juice, zest and ginger. Mix well until the sugar dissolves. After the initial 15 minutes, open the oven door and baste ham generously with glaze. 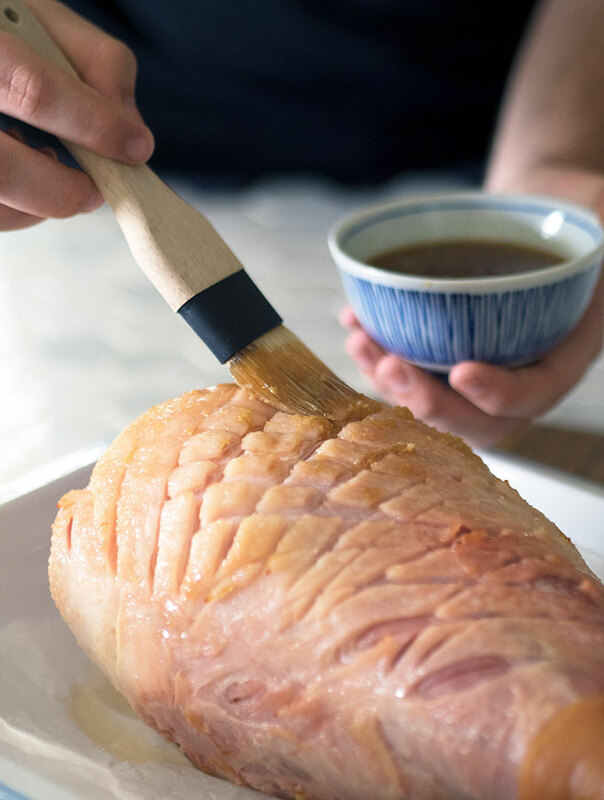 Continue to baste the ham generously with glaze and released juices in the pan every 15 minutes for an hour to an hour 15. The ham is ready when well browned, glossy and you have achieved some lovely charred pieces. Looks amazing! I love the simplicity in the flavours you have put in the glaze.